Lenovo A6000/Plus users, you can get your hands on a new custom ROM based on CyanogenMod 11 KitKat 4.4.4. The new CM11 iOS7 Style Rooted Custom ROM for Lenovo A6000/Plus has a numerous amount of features and system tweaks have been done, the famous author wrath of God has brought this fantastic custom rom compiled with the xposed framework, pre-rooted with supersu installed and iOS Launcher/theme. The rom is super smooth and fast due to the base rom being CM11 just like so you can figure it out that it is going to be very buttery smooth indeed and of course with such a beautiful theme pre-installed. All of the apps are working with the camera, GPS, sim card, sd card and others. There is only one drawback about this rom is that it has an adware which pop-ups frequently and is really very annoying. But do not worry about that, we have a solution for that which you will be able to check it out at the bottom of this post. DISCLAIMER: By no means we are responsible if you brick your phone or your SD card dies or your phone behaves abnormally. It is your sole and your own responsibility to install the custom rom on your phone. If you’re unaware of custom roms and its bugs then please do not go any further. CWM installed – You can follow the tutorial here for installing CWM. Step 3: Please take an entire backup of your current rom through the CWM menu. So that you can restore it back if you fail to install the CM11 custom rom. Step 6: Flash the rom and then the gapps. Step 5: Open the app and grant the super user permission so that it can block the ads from further being displayed. Note: If you do not like the default keyboard which is pre-installed then you can download Google Keyboard from play store and install it. 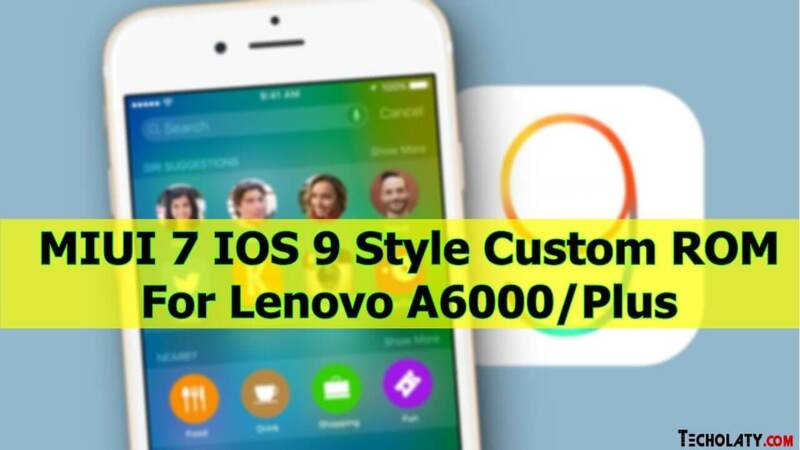 If you do not find the CM11 iOS custom ROM for Lenovo A6000 Plus not interesting or lagging then you can flash the Stock ROM or Flyme OS based on Android Lollipop. I am sorry to hear that Aaqib, you can tell us what kind of error you were facing while trying to install it? and can you guys help me choosing Best and Smooth ROM till date for A6000 with 400+ Free RAM? Use PACMAN Rom, we have posted it already. Best so far, good battery life, smooth and fast.